The Asus Zenbook Pro 15 will ship with the 8th generation Intel Core i9 hexa-core processor and is fitted with a GeForce GTX 1050Ti GPU to handle graphic intensive tasks. First unveiled at the Computex 2018 in June, Asus is all ready to launch its creators-centric ZenBook Pro 15 (UX580) on August 13 in India. The Asus ZenBook Pro 15 comes with a 5.5-inch touchscreen, called ScreenPad. 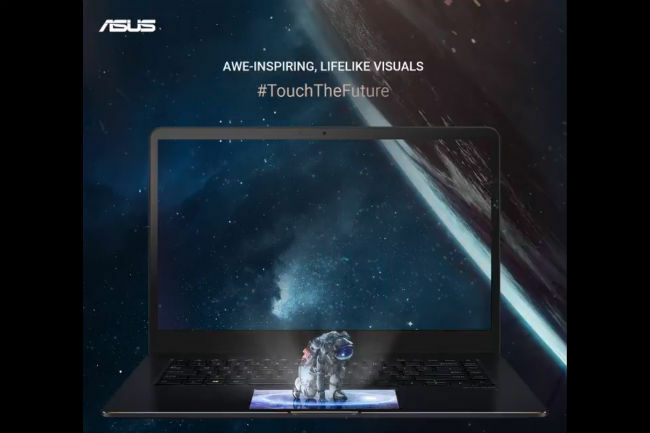 The laptop is already listed on the Asus India website and highlights the NanoEdge 4K UHD Touchscreen Display that offers 100 percent AdobeRGB colour gamut. The display has a Delta-E < 2.0 for colour accuracy, making it a good choice for photographers and colour grading artists right out of the box. The trackpad of the laptop also doubles up as a 5.5-inch Full HD IPS display. “Experience life in the most vivid, most realistic colours possible with a NanoEdge 4K UHD Touchscreen Display. Get ready to #TouchTheFuture on 13th August 2018,” Asus India tweeted. 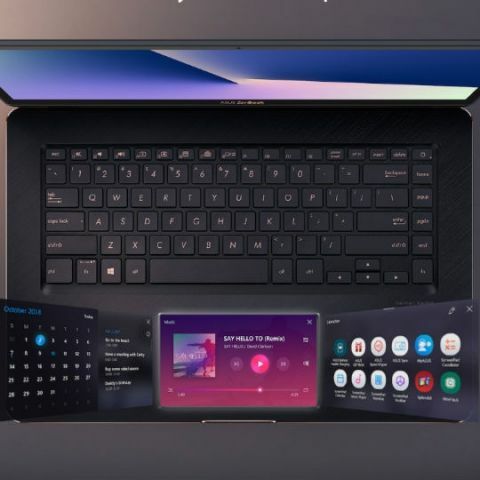 One of the standout features of the Zenbook Pro 15 is that it can be configured to ship with up to the newest 8th generation Intel Core i9 hexacore processor. The listing on the Asus website shows one more variant with an Intel Core i7-8750H processor. The laptop is fitted with a GeForce GTX 1050Ti GPU and is expected to ship with up to 1TB PCIe x4 SSD. The machine is expected to come with the up to 16GB DDR4 memory. The ZenBook Pro 15 also houses two Thunderbolt 3.0 ports which allow you to connect up to 3 external displays with 4K resolution each. There are two USB 3.1 ports, an HDMI port, 3.5mm headphone jack and a microSD card slot. Asus claims that its 71Wh 8-cell lithium-polymer battery can deliver up to 9.5 hours backup. The laptop ships with Windows 10 Home OS, but the company recommends Windows 10 Pro.